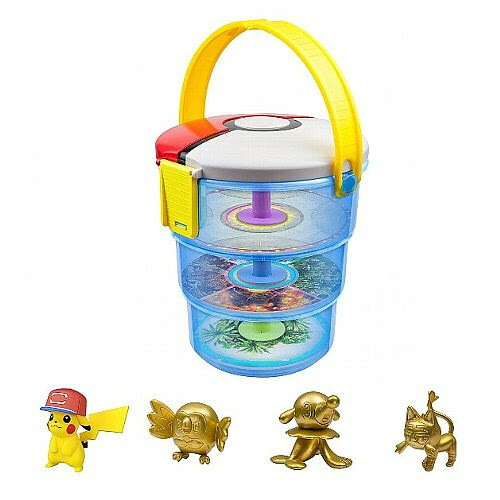 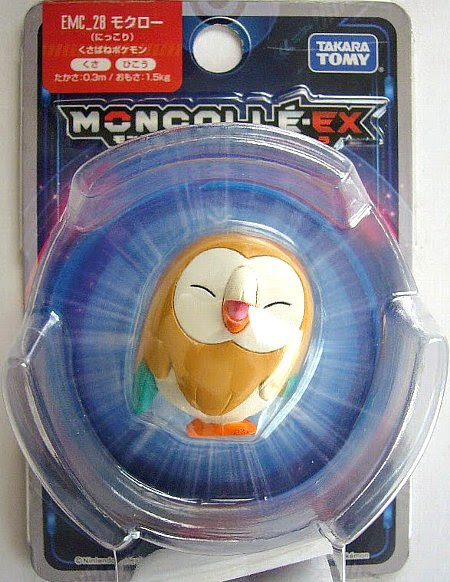 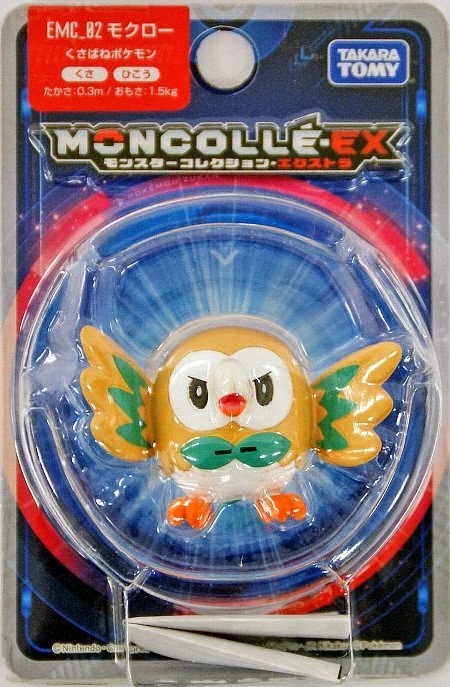 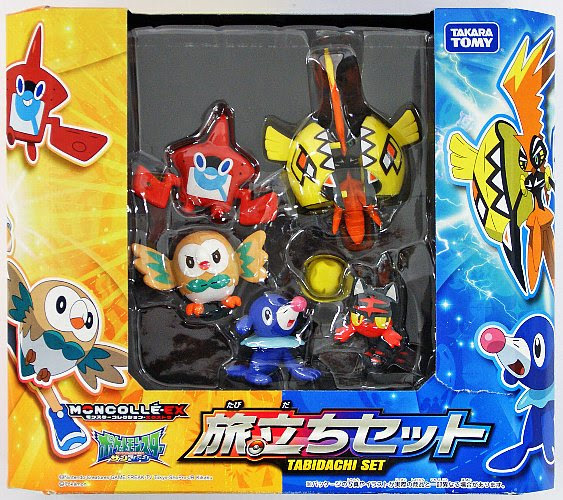 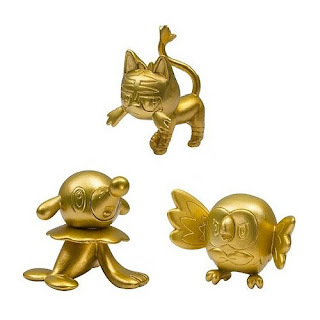 Pokemon figure Takara Tomy Monster Collection MONCOLLE EX EMC series Rowlet モクロー. 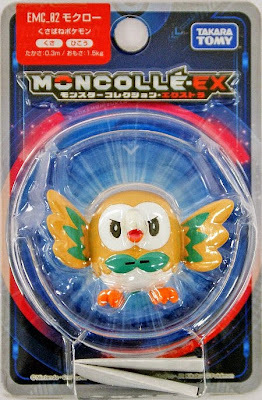 Alternative pose in MONCOLLE EX EMC series. 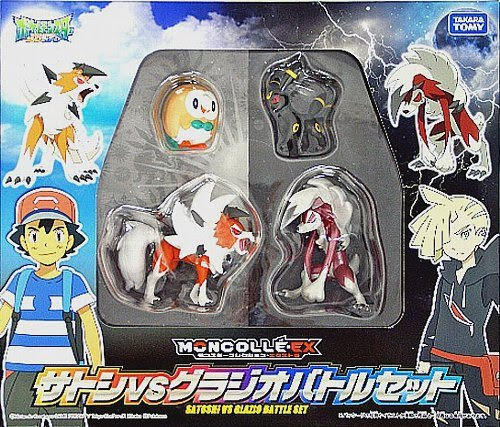 Another alternative pose in MONCOLLE EX Ash VS Gladion Battle Set. Rowlet in YJ Auction ?